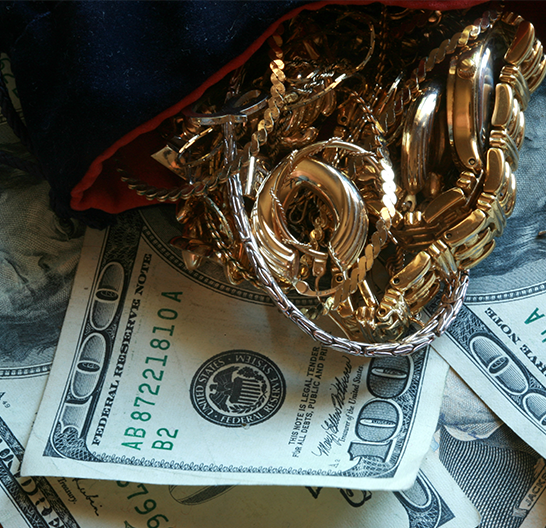 Come to California Jewelry Buyers and we will turn your gold into cash. We pay top dollar for everything from old gold jewelry to gold fillings. Now is the time to search through your drawers for old gold chains, gold coins, gold rings, and gold pocket watches. Let us show you why we are ranked number 1 by our customers. Just stop by and bring in your gold items. Our gold buyer will give you cash on the spot. Selling your gold in Southern California is fast and easy with California Jewelry Buyers. Don't send your gold in the mail to national gold buyers who spend millions of dollars on television ads instead of putting that money into your pocket. At California Jewelry Buyers you can meet face-to-face with our qualified appraisers and have cash in your hand in 15 minutes or less. To sell your gold now, stop by or contact us today.